(No spoilers) Very fun! I did the insane asylum with my girlfriend's family today and we really enjoyed the clever puzzles, creepy ambiance, and fantastic receptionist. The only thing I would change is the size for the price. I totally understand there's only so much that can be done with the size of the house, and while definitely worth it, I think that a larger place with more puzzles and traveling (inside, outside, roof access, adjacent housing, etc.) would really add to the experience. I could definitely see myself spending a bit more for a couple hours in a mansion solving similar puzzles--but that's just me. All that said, this was a whole lot of fun and I will be back! This was by far (and for the moment) the best escape room we did ! We did the Asylum and we had so much fun, but not only ! The story is incredible, the decorations so realistic and the puzzles super AMAZING ! We are a bit sad that it is the only escape room we didn't escape (only for 20 seconds). We don't remember the name of the girl that hosted us, but thank you so much for letting us finish the game despite the time that was over. I don't know if it's because it was our very first escape room, but we really had a blast ! We loved the fact that almost all the pieces in the room were to be used, not too much useless information that could lead you to a false way. The story line is amazing, the mood, EVERYTHING ! We look forward coming again to LA to try The Basement. Looking for something different? You've arrived. Your first puzzle is finding the place. Second puzzle? Parking. After that? You're on your own!! "Vash" will take very good care of you after he leaves you to rot! 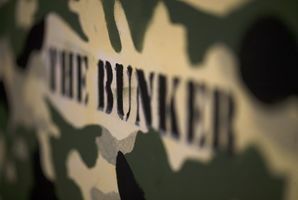 We will be back for, "The Bunker". "Asylum" was taken down after 58:30 and we loved and languished every second we were inside! Thanks Celena! We did the bunker & Asylum & it was so much fun! Amazing time! Can't wait to do the next room! Loved all the little details that went into everything. WOOHOO! We escaped the Asylum and with an additional 20 minutes to spare too! The concept is simple, you and your group of 5 friends are locked in a dark room and you have 1 hour to find a key to escape. 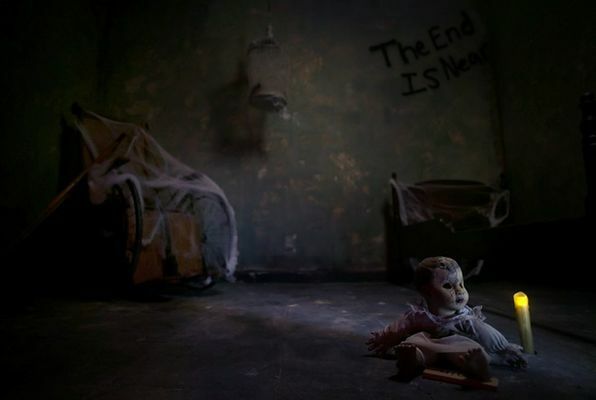 The clock counts down and you are left scrambling through props and items in the room to solve puzzles and quizzes in hopes of finding clues to get out. Prior to starting the game, they will go over the rules and have you sign waivers. I've played several escape room games and this one was challenging yet really fun! I would highly suggest it for a first timer player. -The best way to solve the clues is to work together. I can't stress enough that team work is vital! Keep track of your clues and communicate with everyone so you don't have 5 people looking for the same clues. -Wear comfortable clothes! It can get really hot/cold in the rooms so wear something you feel comfortable moving around in. -Keep hydrated and use the restroom beforehand. You will be LOCKED in the room for an hour! -Parking is terrible here! We ended up parking right next to the building because we couldn't fit our car in the tiny driveway. Make sure you tell them where you parked your car so you don't get towed. Definitely one of the better run puzzle rooms in LA and there are definitely a lot of pretty good ones in the LA area now. It's a bit hard to find parking on the busy Barham Blvd, but there is street parking if you look for it. 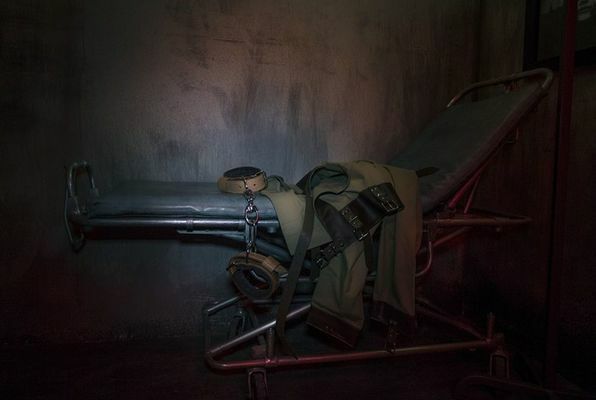 I have done both the Asylum and the Bunker rooms and they are both fun in their own way. 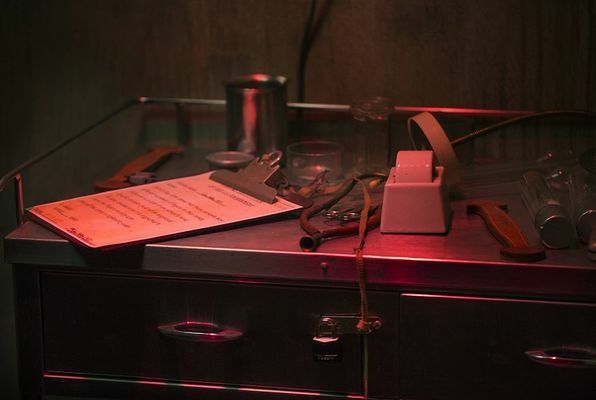 Without giving away too much, I liked the puzzles in the Bunker and the atmosphere in the Asylum. Everything is pretty well thought out. The hour flies by. I love the tension and relief of every puzzle. It's very satisfying to hear that *click* when a lock is open. They have great customer service and guide you through what you need to know about the experience. I'm definitely ready for the next room! This was a crazy crazy experience! I loved trying it once but I'm not sure I can do it again. Haha this kind of experience is aimed toward gamers who like to solve puzzles on the spot. I'm the take my time kind of person so this was so fast paced for me. I came here with a group of 6 to try out the Bunker room. Parking is really crazy with a max of three cars pulling into a narrow lane in front of the place. Carpool if you can! Before the craziness starts you get a lot of info and then of goes the timer. I would suggest bringing as many people as possible because you need all the thinking brains! Video gamers highly recommended haha. We all had a lot of fun and were just running all over the place and we were able to solve it under the given time limit. Pretty cool but not the shortest time ever! We were aiming for that of course but not all dreams get fulfilled. Even though I wasn't the main puzzle solver I still had a lot of fun doing this experience. There's a good mix of puzzle solving and just finding clues that there is a lot to do. It's good to try this at once, and if you like it, there are other rooms too!